MEOW! My name is Margery and I am a beautiful 1 year old Domestic Short Hair kitty. I just got done raising kittens of my own and watched them get adopted out one by one. Now it’s my turn to find a nice warm lap to snuggle on! 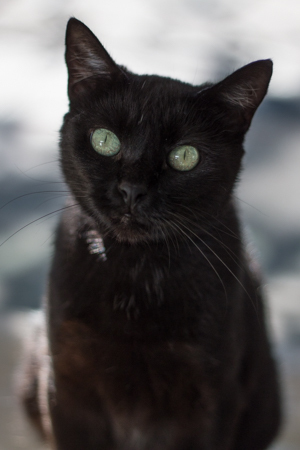 I am a very curious girl and am always exploring the cattery while watching people pass by the cattery window– which is where you can usually find me soaking up the sun! 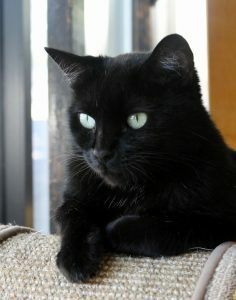 I am very friendly and affectionate and would love for you to come over to meet me! Fill out an application today. I come to you spayed, micro-chipped, and vaccinated with an adoption fee of $100.